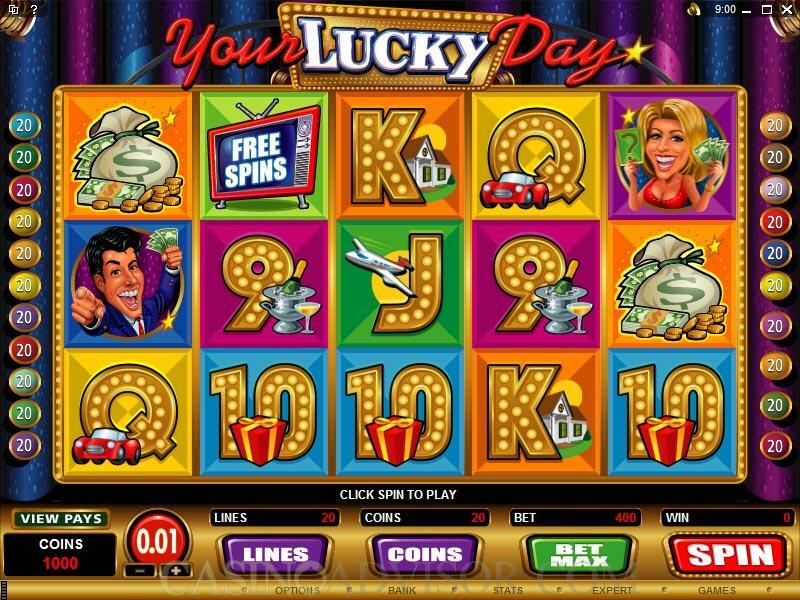 Your Lucky Day is a video slot from Microgaming. It has 5 reels, 20 paylines and a maximum bet of 400 coins. 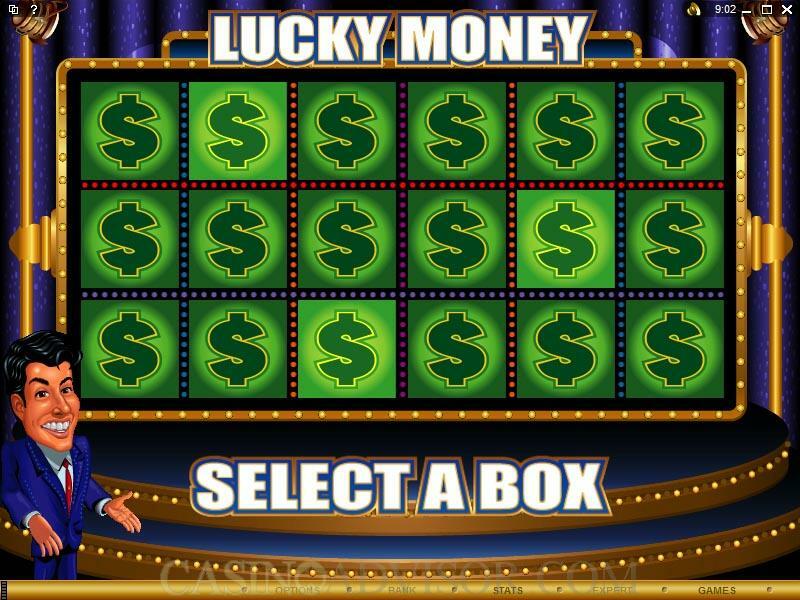 Your Lucky Day is based on a television game show and has the brightness and color associated with such shows. The symbols on the reels recreate the game show atmosphere. These are led by the Host and Hostess and the Television Set, which are all scatter symbols. The wild symbol is Your Lucky Day logo. Your Lucky Day has some of the best high card value symbols. Not only are they superbly fashioned but each is associated with a prize that can be won at game shows. For example the Ace has a stash of cash and the Queen has a car. All symbols appear in panels of the type seen on television game shows. There are three bonus features each triggered by one of the scatter symbols. Before starting the game players will have to choose the coin denomination by operating the +/- signs below the coin denomination button. Coin denominations are 0.01, 0.02, 0.05, 0.10, 0.20, 0.25 and 0.50. Players will also have to enable up to twenty paylines by operating the +/- signs below the LINES button. Winning combinations pay only if they occur in enabled paylines. Finally players will have to choose the number of coins per line by operating the +/- signs below the COINS/LINE button. 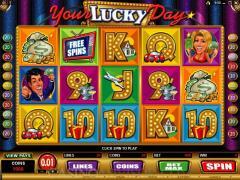 In Your Lucky Day players can wager up to 20 coins per line. Once the settings have been completed the game can be started by clicking the SPIN button. Your Lucky Day logo is the wild symbol. Unfortunately it does not multiply payouts but it does offer a fixed jackpot of 5000 coins when five symbols appear in an enabled payline. The Television Set is one of the scatter symbols. Apart from offering scatter payouts, three such symbols in reels 2, 3 and 4 trigger the free spins feature in which 10 free spins are offered at doubled payouts. The free spins can be retriggered. The Host appearing in reels 1 and 5 triggers the Lucky Money bonus game. 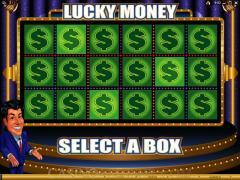 In the first screen the player clicks a symbol to reveal a mystery prize amount. In the second screen he clicks a symbol to reveal a multiplier. The prize amount multiplied by the multiplier is the total coins won. The Hostess appearing on reels 1 and 5 triggers the Hi-Low bonus game. One card is displayed face up and four cards are displayed face down. Players have to guess if the next card is higher or lower than the previous card. With each correct guess the multiplier increases. The default multiplier is 2x if the first guess is wrong. If all five cards are turned over reveal a winning Poker hand, players get the Extra Poker Hand Bonus. Interested in reading more detailed information about Your Lucky Day? If so Click Here for more details.